Length of Trail: This is a three mile trail along the Sweetwater River from Highway 805 in Bonita to Summit Park, east of Highway 125. The trail can be extended past the Sweetwater Reservoir to Jamul and beyond. 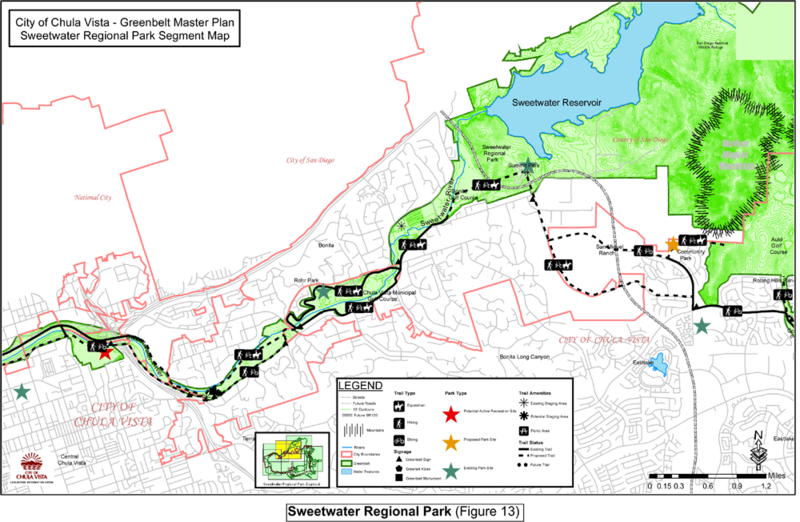 See description of Sweetwater River Trail. Staging Area: There are three staging areas. 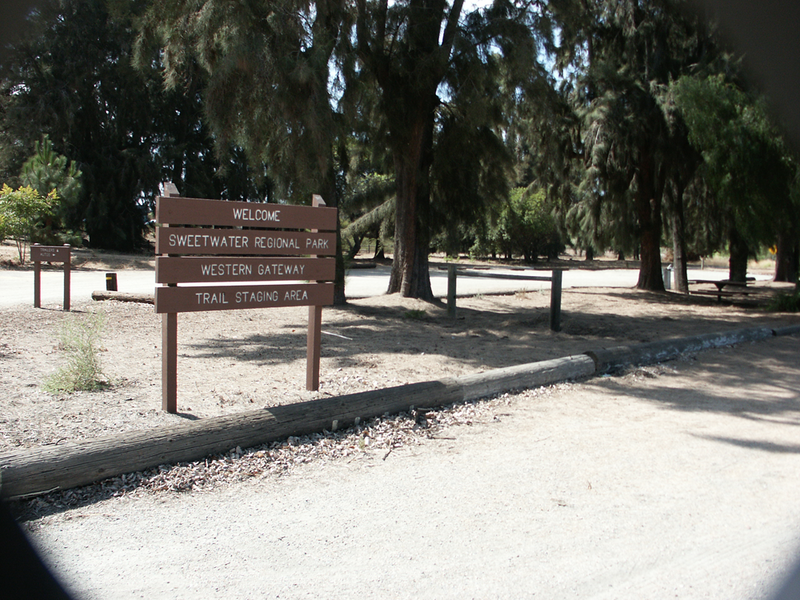 Summit Park (see Sweetwater River Trail), Rohr Park, on Sweetwater Road, between Evergreen Road and Cresta Verde Lane in Bonita, and Sweetwater Regional Staging area at the western end of Bonita Road. 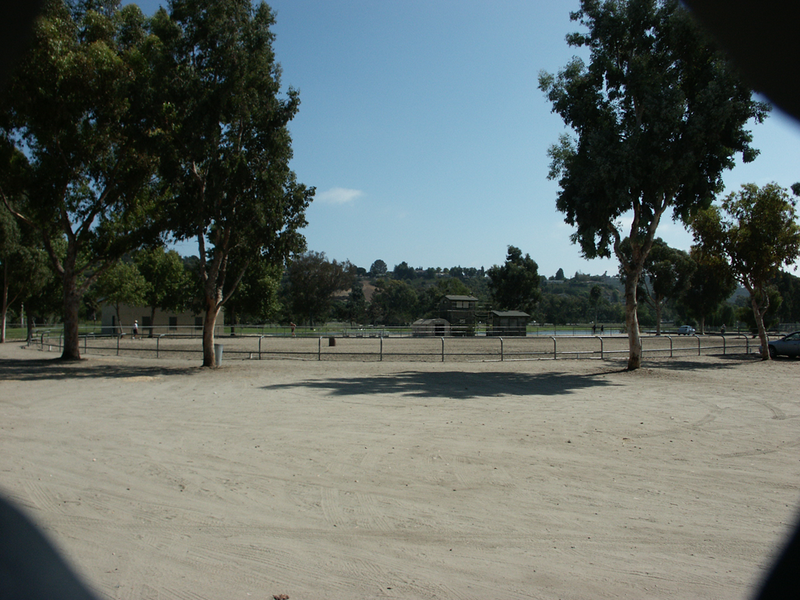 Summit Park: There are complete equestrian facilities here, corrals, water, parking and campsites. 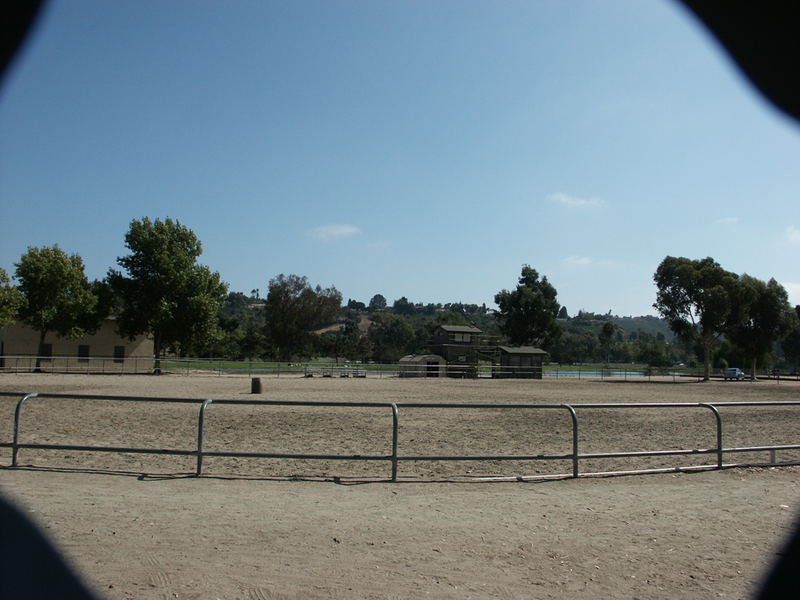 Rohr Park: There is ample parking, a round pen and a mid-sized arena. The arena is not open for everyday use, but you can use the parking facilities and put your horse in the round pen. Sweetwater Regional Staging Area: This location has adequate parking, shade and picnic tables. There are hitching posts and water for horses. Water: The trail follows the Sweetwater River and there is seasonal water along the trail. Trail Conditions: The trail conditions are generally good. The footing is predominately sandy in the river bed and dirt beside the golf course. 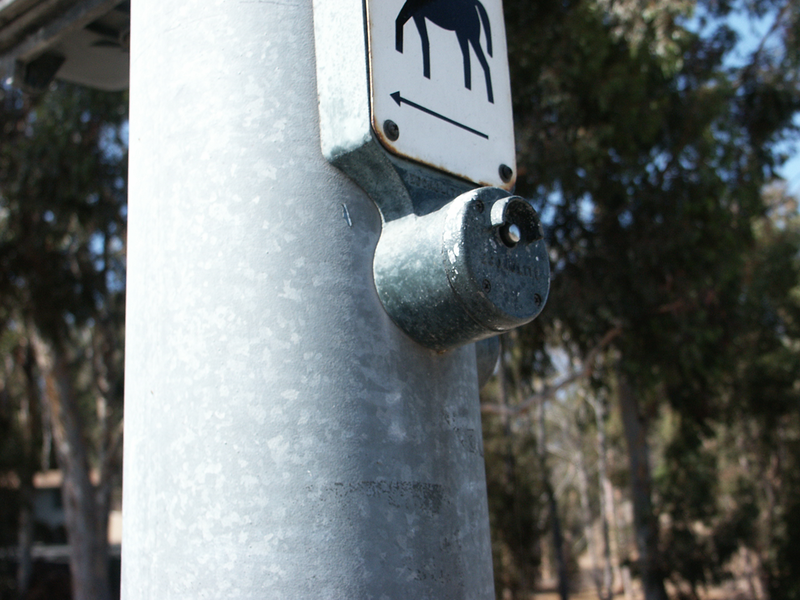 It is necessary to cross one busy road – with a horse level pedestrian crossing button at the stop lights. Also, there are distractions such as errant golf balls by the golf course, pedestrians and cyclists, especially on weekends. General Trail Info: Hats off to Bonita and the Bonita Valley Horsemen, bonitavalleyhorsemen.com. They have really done it right. There is an excellent riding and hiking trail system in Bonita, some urban trails, along the golf course, beside roads protected by split rail fencing and then more rural trails along the river bed. 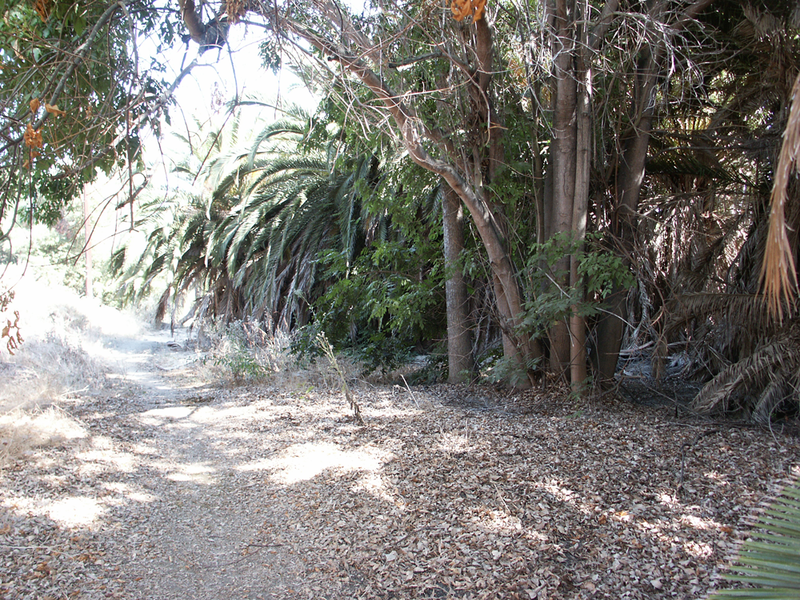 See the Bonita Valley Horsemen’s trails maps for existing and proposed trails through Bonita. Trail Description: From Summit Park, go west along the trail to the bridge over Highway 125. You can now ride your horse over Highway 125 – although they recommend dismounting before you cross. There are concrete mounting blocks either side of the bridge. Follow the trail westwards down the hill, cross Conduit Road and go along the trail beside the Bonita Golf Club. This is a very pleasant trail, well constructed with a stable on the north side and the golf course on the south. You cross at Bonita Road and Sweetwater Road. This is a major intersection, so be careful. The trail continues through Sweetwater County Park to Rohr Park at Evergreen Rd. From Rohr Park, go east along Sweetwater Road for just under 2 miles. 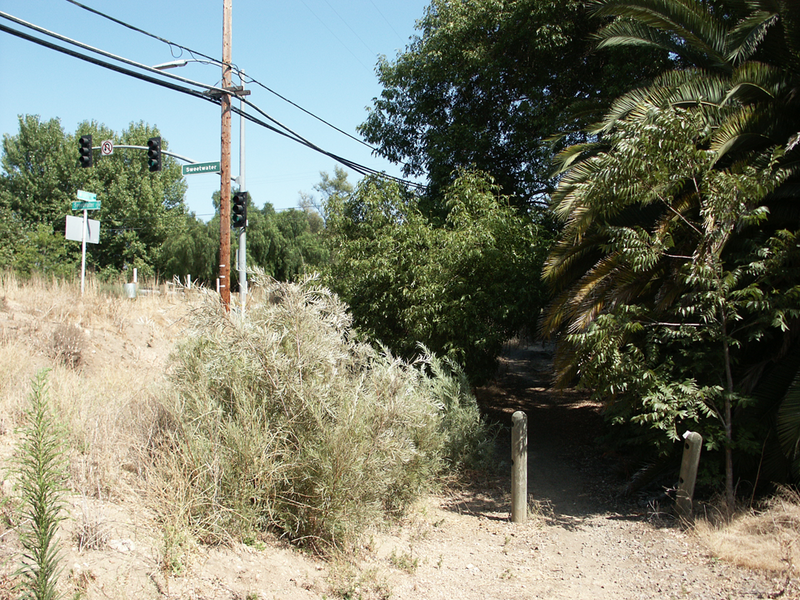 There is a trail alongside the road, which until Malito Road is cleverly constructed beside Rohr Park with trees or split rail fencing separating the trail from the road. 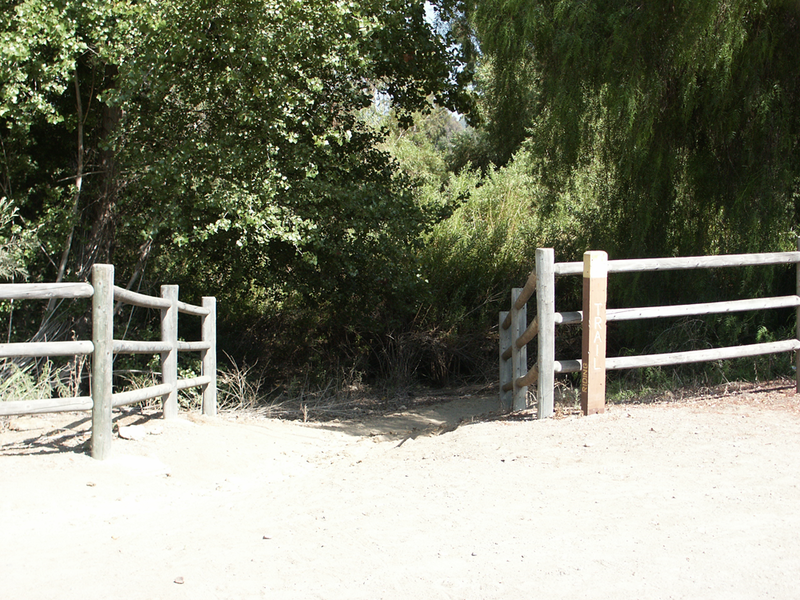 Once opposite Malito Road, there are no protective barriers, but the trail is quite wide and it is easily passable on a horse. Cross Willow Road, there is a horse level pedestrian crossing button on the stop signal and drop down into the trail in the river bed. 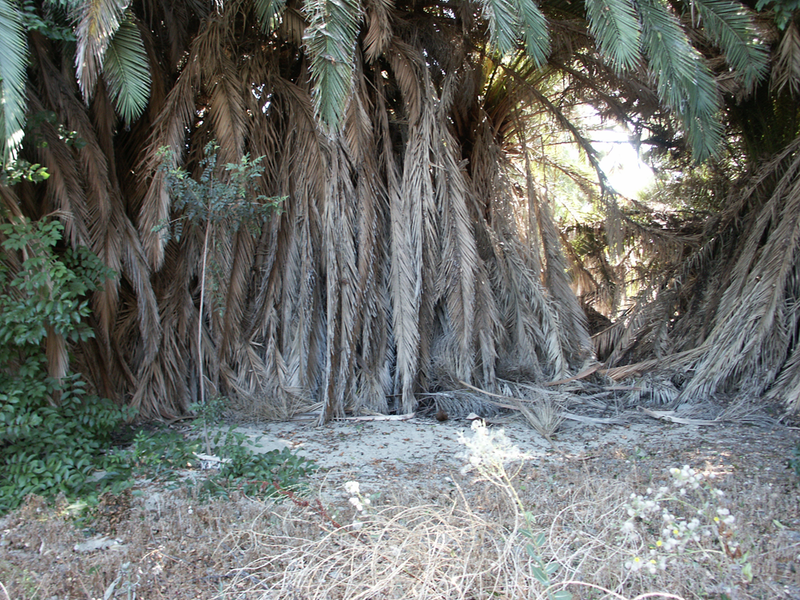 This is a lovely trail surrounded by lush vegetation and there are several choices of trails. If you keep going west, you will arrive at the Sweetwater Regional Staging area at the western end of Bonita Road for a total of about 3 miles. The trail continues to the west and joins with the biking trail which runs alongside Highway 54. However, this is hard top and not open to horses.